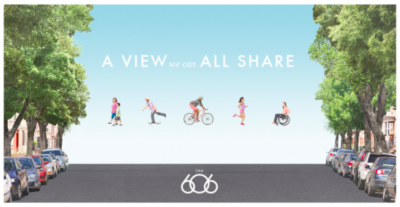 Where Are the Black People in Ads for Chicago’s New Park, “The 606”? (Update 7/10/15)—Read my follow-up post here: Black Faces Matter: Real Chicagoans on the 606. Chicago’s linear park, “The 606,” opened to critical acclaim in June. Formerly an abandoned rail viaduct like it’s famous predecessor, New York City’s High Line, the new elevated green space–oddly named after the city’s three-digit ZIP Code prefix–cuts through several multi-racial neighborhoods on the city’s Northwest Side. Yet you can find almost no black faces in the poster ads for The 606 currently displayed on sides of Chicago Transit Authority buses and bus stop shelters (like the ones in this blog post), on the official website or Facebook page for The 606 (administered by the Trust for Public Land), or on the website or Facebook page of longtime advocacy group Friends of the Bloomingdale Trail. Don’t believe me? Go look. I’ll wait. Pay attention to page headers, casual images, planning diagrams with mocked up human figures. If you count even a dozen Black faces among the hundreds of non-Black faces that you’ll find, you have better eyesight than I do. Logan Square: White 39.64%, Black 5.32%, Hispanic 50.74%. An immediately positive observation–all those White and Hispanic faces you saw while I was waiting for you to come back are awesome. Hispanic Chicagoans make up the majority of the population of the neighborhoods through which The 606 runs, with White Chicagoans not far behind. The best planning initiatives equitably represent the communities they serve, so major points here. However, were 15.75% of the faces you saw while I was waiting for you African-American faces? Hardly. An even finer point could be made, since Black Chicagoans account for more than 40% of the population of the Humboldt Park community area. Yet you only saw a handful of black faces. 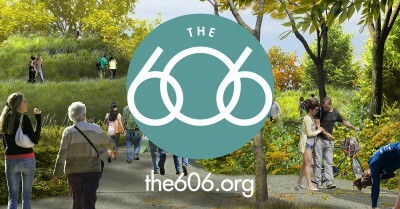 So why doesn’t the marketing campaign for The 606 equitably represent Black residents of the neighborhoods through which the park runs? The first response was from Ald. 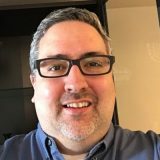 Waguespack’s chief-of-staff, who said the 32nd ward wasn’t involved in the marketing campaign and suggested, among other entities I had already contacted, to ask City Hall. So I emailed Emanuel advisor Joe Deal as well. The second response was from Trust for Public Land Chicago Region director Beth White (to whom my query apparently was punted), who told me my premise was “not correct” and that The 606 marketing campaign features “the full diversity” of the communities it serves, “African American included.” That being demonstrably not the case, I immediately emailed White back asking her to direct me to online or printed marketing materials featuring African Americans. As of this morning, I have not received a further reply. In terms of the Trust for Public Land’s response, it is worth noting that the community served by The 606 is, in reality, the City of Chicago as a whole, not merely the blocks, census tracts, or community areas that directly abut the park. In 2010, U.S. Census figures showed 32.9% of Chicago residents–more than 880,000 people–to be African-Americans. So there’s that, too. My third response was from Chicago Park District general superintendent and CEO Mike Kelly, himself, who assured me that CPD parks are for all Chicagoans and connected me with the District’s communications director, to whom I immediately re-directed my query. As of this morning, I have not received a further reply. And there you have it. 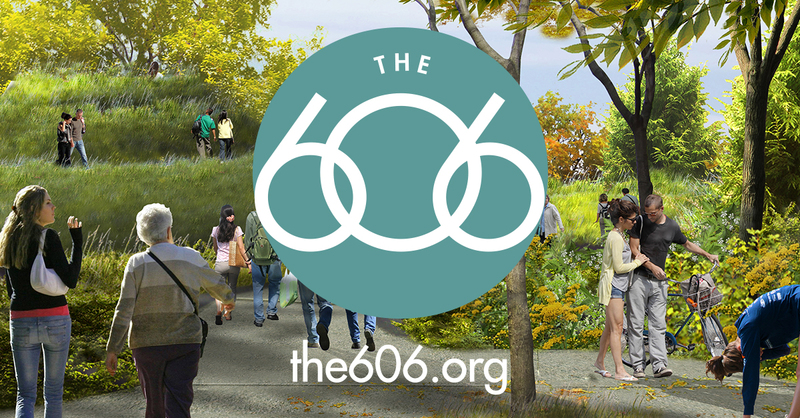 Why aren’t Black Chicagoans represented equitably in the marketing campaign for the 606? Unless one of the parties I contacted supplies a reason, unfortunately your guess is as good as mine. Here’s my mine. If Alderman Waguespack was not involved in The 606 marketing plan, it is reasonable to assume that Alds. Maldonado and Moreno were similarly not involved. That leaves the three coalition entities to share responsibility–as well as City Hall, judging by the reply I got from the 32nd ward. Of those entities, Friends of the Bloomingdale Trail, while being the group that instigated the park’s creation in the first place, has no real power. Neither does CPD, since City Hall appoints the District’s superintendent. That reasonably leaves only City Hall and the Trust for Public Land as the parties potentially responsible for the accidental or deliberate omission of African Americans from The 606 marketing campaign. I would like to believe that it was an accidental omission. 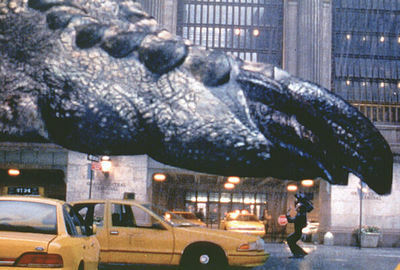 Perhaps inadequate direction was given to whatever ad agency was engaged to produce the marketing materials. Direction that did not take into account the racial makeup of the neighborhoods through which The 606 passes–not to mention the racial makeup of Chicago, itself. That’s entirely possible. No one’s perfect. However, given how racially loaded most planning decisions are in Chicago, I’m not really sure that’s plausible. The other, more troubling possibility is that the the omission of African Americans from The 606 marketing campaign happened on purpose. The Chicago Tribune has reported more than once on the potential for The 606 to raise property values and quicken gentrification in adjacent community areas (see here and here.) The development community is a key financial partner of City Hall. And development leaders sit on the Trust for Public Land Chicago Advisory Council. Could it be that some powers-that-be in the background with financial skin in the game along The 606 are afraid that black faces on bus ads won’t sell white faces on condos? As a member of a multiracial family myself, I personally hope this is not a such a case of deliberate white-washing. But I don’t know how else multi-colored Chicago turns all-White on the side of a bus. Do you? 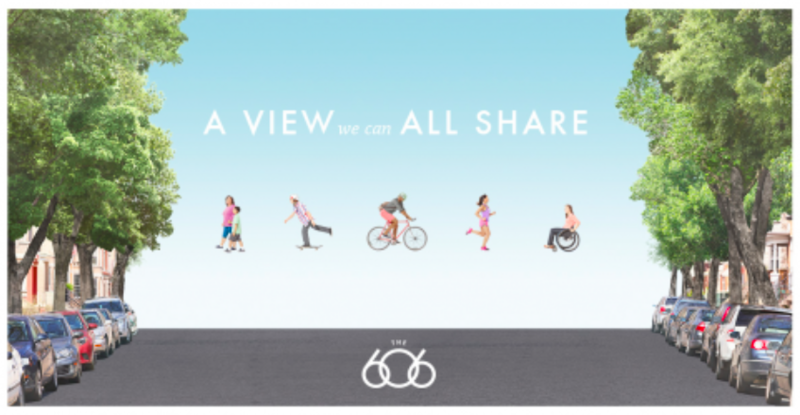 Given that the 606 project was sold as, and intended to be, an amenity for the entire city, it would be great if the people in the marketing materials were representative of the whole city. And, to turn the last, most troubling motive for the ommission that you posit on its head, it would be great for the marketing materials to imagine a less segregated future for the city. But your demographic analysis of the neighborhoods that the 606 runs through is incomplete, leading to an off-base conclusion about the degree to which the 606’s marketing imagery is unrepresentative of the local population. Humboldt Park, the community area of the three that contains the large majority of African Americans in the 606 area, is, like the city as a whole, extremely segregated, in addition to being very large in both area and population. In Humboldt Park, a (quite sharp) racial line is drawn SE to NW, approximately along Grand Avenue, with the NE section majority hispanic (with a growing white minority), and the SW section majority black. The 606 runs along the northern border of Humboldt Park, terminating about halfway across the neighborhood, and never getting closer than a mile from the majority black section of HP. Bill Rankin’s maps are a good source for more granular data (as in this 2012 WBEZ article: http://www.wbez.org/series/race-out-loud/where-we-are-mapping-chicago’s-racial-divisions-98986). Thanks you your comment, Owen. I agree, The 606 was built as an amenity for the entire city–and if you scale down, the entirety of the neighborhoods through which it runs. 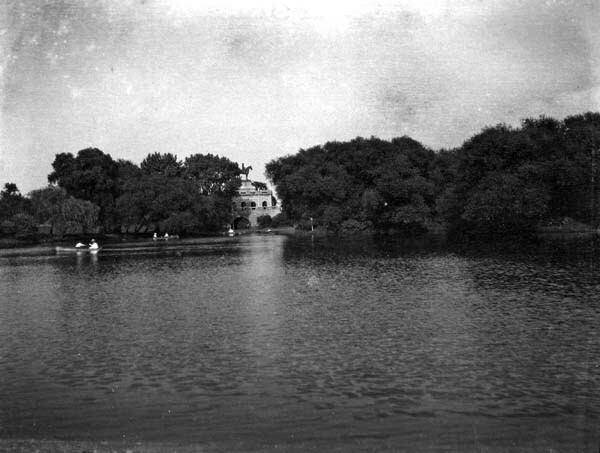 As I noted in my post, the park was not intended merely for the residents who live directly adjacent to it, otherwise the money never would have been spent to create it. I saw plenty of African-American park users on a round-trip walk of the trail yesterday afternoon. It’s clearly not just being used by people who live next door. That will be the subject of my follow-up post. Thanks again. In my experience as a marketing professional, there’s no such thing as accidental omission of diversity in pieces the public is seeing. Each piece goes through many checks by many people, and modern marketing people will flag “not enough black faces” as well as “not enough white space.” When a campaign omits a particular group, it’s because the client has requested it – either with direct, racist terms or repeated, subtle “use a different photo” requests. It’s sad but not surprising City Hall would do this. Anna, in my experience as a communications strategist I agree with you. Much as I would like it to be the case, it would take being completely asleep at the wheel for something like this to be an accidental omission. Even if African-Americans had been included originally, someone, somewhere selected the specific images and graphics displayed on Chicago buses and on The 606 website. A commenter on Facebook–a social justice-driven local scholar–suggested the possibility that the imagery is intended to represent the “future of Chicago” as envisioned currently by the city’s elites. That is, a future where the substantially African-American South Side and West Side are no longer relevant. Which, as I replied, is made even worse by the fact that in this case, these are Black residents excised from the portrait of their own neighborhoods. As if Black people never existed on the North Side of Chicago.